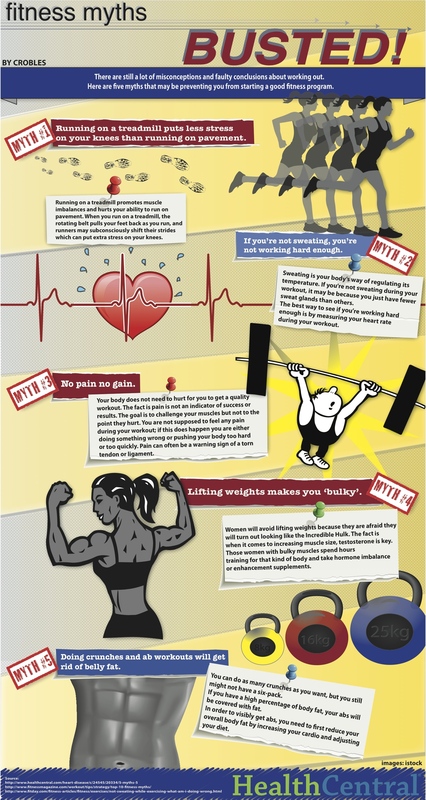 What is the Number One Fitness Myth? Of all the claims and counter claims surrounding health and fitness, the number one fitness myth is that healthy diets and lifelong exercise guarantee that we can live long and healthy lives. So says Dr. Anthony Goodman, who received his BA from Harvard and MD from Cornell. He teaches “The Myths of Nutrition and Fitness,” a course offered by The Great Courses, which I am currently taking. Dr. Goodman also teaches the Lifelong Health: Achieving Optimum Well-Being at Any Age course which I took earlier this year and posted several useful items to the blog at the time. One of them is Sleep Habits Affect Weight Loss Results. Besides his professional credentials, he is also a lifelong athlete who surfs and rides a bicycle at the age of 71. In college, he competed in and won international rowing contests. He offers the example of Winston Churchill who lived a long and productive life while smoking, drinking and being largely sedentary. In his later years he was obese by any measurement. Nonetheless, he lived to the ripe old age of 90 and enjoyed mental clarity all his life.